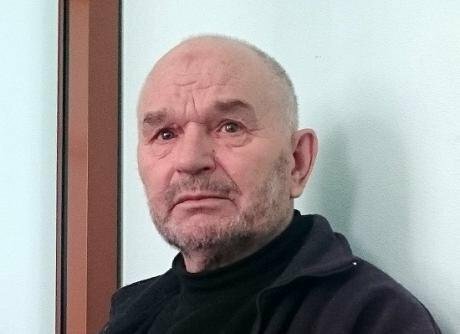 The late Tagir Khasanov, who died in a Saratov prison earlier this month.On 17 January 2017, Tagir Khasanov, 70, died in a prison camp in Saratov. Khasanov was already paralysed when he was brought there on a stretcher from a remand prison in Nizhny Novgorod, where he had spent the previous 10 months after being charged with being an accessory to terrorist activity. Khasanov was accused of persuading Bagdan Umarov, a native of Ingushetia, to emigrate to Syria and fight for so-called Islamic State (IS). 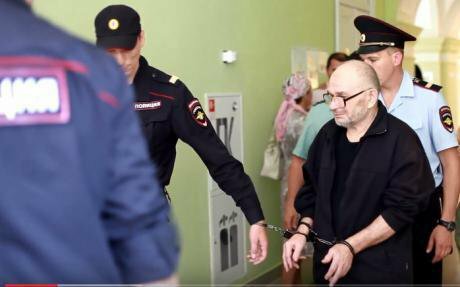 A Moscow district military tribunal sentenced Khasanov to five and a half years in prison – despite his advanced age, his status as a registered disabled person and the fact that the investigators had falsified evidence against him. The Russian High Court commuted his sentence to four months imprisonment. Tagir Khasanov pleaded not guilty. What was the basis for the charge against him? In 2014, Bagdan Umarov rented a corner in Khasanov’s one room flat. According to the Nizhny Novgorod regional FSB, it was Khasanov’s influence that later led Umarov to travel to Syria, and evidence was fabricated to fit this version of events. No account was taken of the fact that Umarov’s brother was already in Syria and on an international wanted list as an IS combatant even before Umarov had become Khasanov’s flatmate. The evidence given by prosecution witness Delshot Zhumaniyazov, an Uzbek national who also rented space in Khasanov’s flat, was partly fabricated. The statement signed by Zhumaniyazov contained a claim that Khasanov had regular conversations with his flatmates where he would persuade them to go to Syria. After police interrogation, Zhumaniyazov was immediately deported for overstaying his visa, so he didn’t appear in court. Khasanov’s lawyer Marat Ashimov did, however, travel to Uzbekistan to get a further statement from Zhumaniyazov: this evidence was read out in court and entered on the case record. In it, Zhumaniyazov admitted that parts of his original statement were added by the police – there had been in fact no such conversations with Khasanov and he had never expressed any approval of IS’s actions. The evidence given in court by defence witness Aleksandr Balakin, a neighbour of Khasanov’s, gave a good picture of the methods used by the FSB to create this image of an IS fighter. “I didn’t like the way they talked to me. They talked about 1937, the height of Stalin’s terror: ‘If this was 1937, you’d be put against a wall and shot.’ That was the kind of language they were using,” Balakin said. The court also heard that investigators distorted witnesses’ evidence when drawing up statements. According to Balakin, he had to correct his in several places before he would sign it. “They had written that Khasanov was very persuasive. But I couldn’t write that, because it just wasn’t true”. The investigators also called Umarov’s ex-partner as a witness. Yelena Vershinina had continued to write to her lover after he had gone to Syria. He wanted her to join him; she promised to help him with money – and their correspondence fell into the FSB’s hands. Tagir Khasanov in court.In her letters, which were read out in court, Vershinina more than once asked Umarov why he had gone without talking to her about it or even telling her that he was going. But none of their correspondence, on any subject, even mentioned Khasanov. Vershinina, however, tailored her evidence to the wishes of the police, which may be why she escaped a similar charge. Statements, of course, are not enough to convict someone on their own. But the police also had in their possession five cartridges and a DVD containing pornographic content, seized during a search of Khasanov’s flat. Khasanov himself claimed that these appeared there on the day of his arrest, after the cops had pulled a black plastic bag over his head. Ashimov, his lawyer, spoke about this incident in court. Two months after Khasanov was convicted, two men were shot by the FSB in front of residents of one of Nizhny Novgorod’s new housing estates. The FSB’s official press release stated that, “At 8am on 23 October 2016, while police were checking a parked Daewoo Nexia car, a number of persons from the Central Asia region carried out an armed attack nearby on Academician Sakharov Street. Two of the attackers fired a number of shots at law enforcement officers, using automatic weapons. To defend themselves from this violent attack, a threat to life and limb, the officers returned fire, and their attackers suffered fatal injuries. A criminal case has been opened”. The media announced, citing their own sources, that IS militants had been eliminated while planning a terrorist attack on the city. Anna Daurbekova, the wife of Igor Daurbekov (one of the men killed), meanwhile told local independent news platform Koza Press (link in Russian) that her husband had never had any contact with terrorists, earned his living doing building and decorating work and devoted all his spare time to herself and their two small children. On the morning of 23 October, she said, he had gone to do a decorating job that he had been hired for a few days before the killing. Igor’s friend Sergey also denied the truth (link in Russian) of the widely reported claim that Daurbekov had adopted Islam and given up sport. Two weeks later, the police announced that they had killed another IS fighter. The FSB’s statement claimed that they had found an AK-47, an RGO hand grenade and five TNT blocks weighing a total of 1.8 kg at the scene of the incident (they did not, however, produce these weapons for the press). The third suspect supposedly planning a terrorist act was detained by the FSB in Yakovskoye, a village nearly 200 kilometres from Nizhny Novgorod. According to local residents, police stormed a flat on the second floor of a housing block, where a family of Tajik migrant workers, including women and small children, were living incognito. The flat belongs to Gulnoz Artikova, the wife of Abdurafik Artikov, who was a prosecution witness at Khasanov’s trial. During the trial, Abdurafik Artikov painted a vivid picture of how the elderly man was involved in illegal activity. He claimed, for example, that he had been at Khasanov’s flat and seen him using his powers of persuasion on migrants. He was, however, unable to describe the flat when asked by the defendant’s lawyer, and Khasanov insisted that he had never met the man. But that’s not the most interesting thing. According to documents I hold, in 2014 Abdurafik Artikov was himself charged with “organising activity by an extremist organisation”. An order by a magistrate dismissing a criminal case against Artikov shows that in 2004 he, a citizen and resident of Uzbekistan, voluntarily agreed to aid and abet, in any way he could, the activities of the international pan-Islamic political organisation Hizb ut-Tahrir, which is banned in Russia. The court order indicates that this was his aim in settling in Nizhny Novgorod. The employer in question was none other than Abdurafik Artikov. Russia’s Prosecutor General’s office showed no interest when I sent them information about the curious case of one witness and three trials. My letter was first sent back to the Nizhny Novgorod regional prosecutor’s department and from there to the local FSB – the very agency, as I had explained in my letter, that required investigation over falsification of evidence. 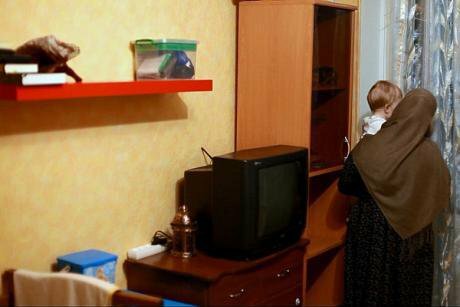 Anna Daurbekova still has no idea why her husband was killed, leaving her children orphans. She has not had his body returned to her, and has not even been allowed to see it. Both she and everyone else is supposed to believe the FSB when they say that the murdered men had connections with IS and was planning a terrorist attacl. In response to a request from me, the regional FSB head Sergey Staritsyn wrote that “Public access to information about the progress and interim results of a criminal trial is restricted by Article 310 of the Russian Federation Criminal Code, which prescribes prosecution for the disclosure of information relating to pre-trial investigation”. On 20 January, Tagir Khasanov was buried in the village of Baslovo, where he was born and where at the age of 15, after only four years of schooling, he had to start helping his mother bring up the younger children in the family. All image stills courtesy of the author, via YouTube.